I'm cheating and started a couple days early. 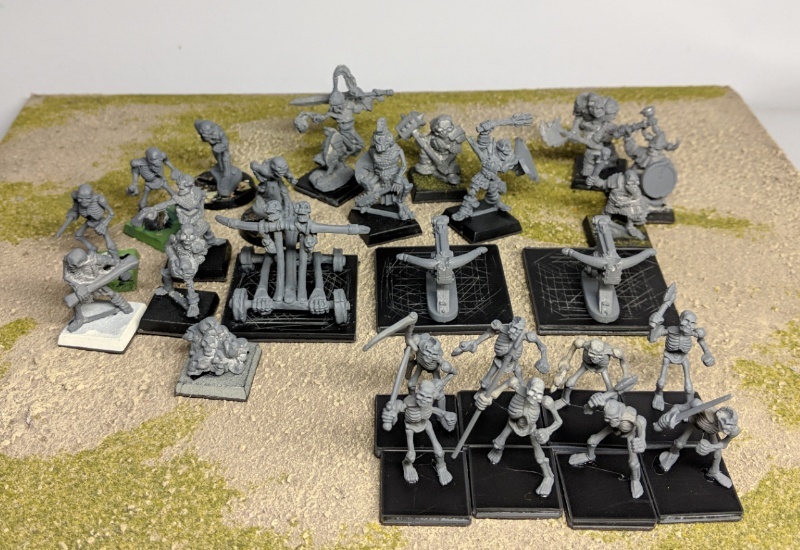 I found eight more old Citadel skeleton bodies, and still had some extra skulls from Secret Weapon. 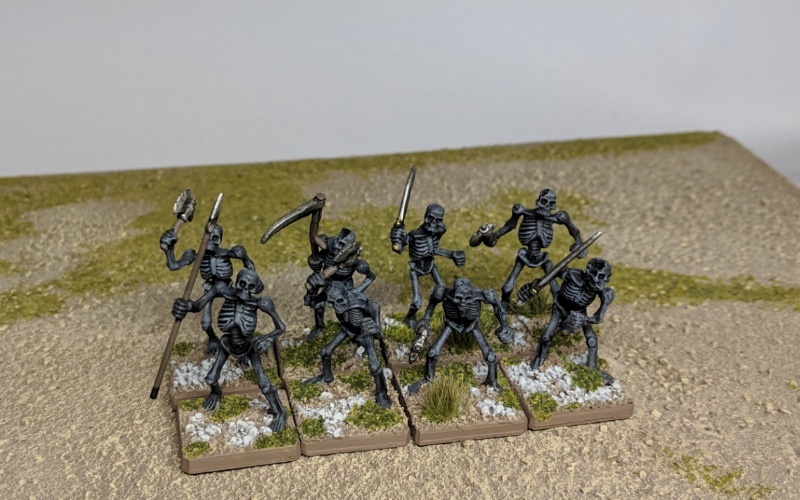 I painted them up to bulk up Mo' Death's Commandos. Here's the rest of what I've got prepped for the month, if I can manage. 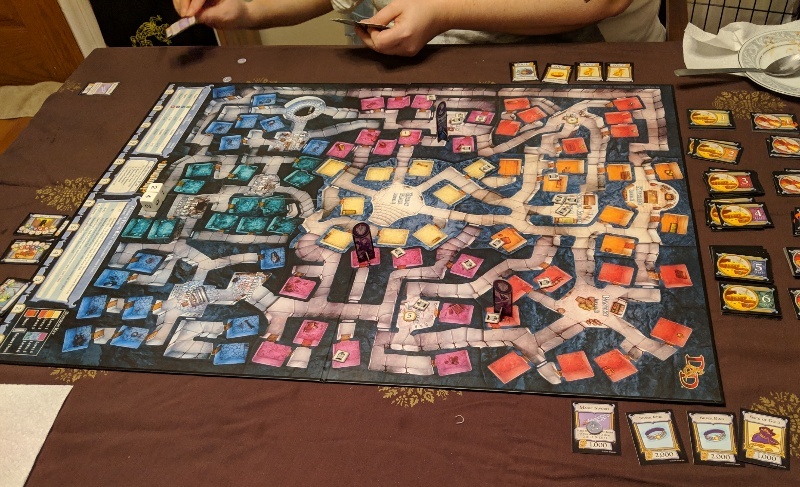 Thanksgiving night I introduced my wife and daughter to Dungeon! I think the last time I played I was probably somewhere around 10 years old. We had fun & hope to have another family game night at some point. Really like the dark base coat and drybrush you have used here. Very different and looks great.